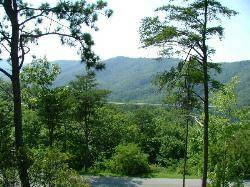 Our beautiful Boomerang House has amazing views of the Smoky Mountains National Park. 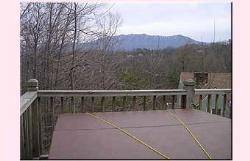 Located in the exclusive Outback Village gated community, this 3 bedroom, 3.5 bath home has wonderful views, easy access to Gatlinburg, Pigeon Forge, and the National Park, and has a community pool just a few hundred feet away. The house will sleep up to 8. Enter our large 3 bedroom home from either the front or the back door, both providing excellent views of the Smoky Mountains. Inside, we have exquisitely decorated the home with upgraded furniture, bedding, and kitchen to make you feel comfortable and right at home. Our kitchen, open over the bar to the full size dining table in the dining room helps to make family dinners a special event. 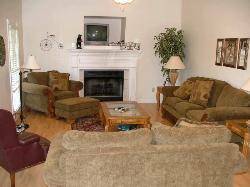 Past the kitchen is the game room with a pool table and also you will find the cozy living room with couch, love seat, recliner, and cable TV near the gas log fireplace. Off from the dining is the hallway to the three bedrooms. In the hall closet is the full-size washer and dryer to help keep your packing simply and light! 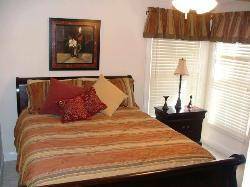 Our three bedrooms all have soft bedding, cable TV, plenty of closet space, and access to a full bath. The master bedroom is upgraded with a king bed, raised ceiling, and enlarged bathroom with separate jacuzzi tub and stand-up shower. 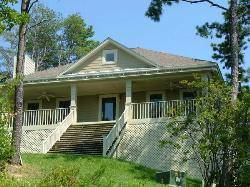 Enjoy coffee every morning on front deck on a rocking chair taking in the view or watching the sunrise on the back deck overlooking the National Park with it's spectacular long-range view. We want our Gatlinburg vacation homes to feel like home to you. We provide you with linens, towels, cooking utensils, hand soap, a starter supply of toilet paper. Our house has easy access and parking (please contact us in winter months about possible 4-wheel-drive requirements driving up the mountain). This is one Gatlinburg vacation rental by owner you will love and come back to time and again! The Boomerang Hut is located in Outback Village a 70 acre gated and pool community. Close to everything - short distance to community pool with wonderful views! Very convenient to Gatlinburg (easy trolley access so you have no parking worries!) and Pigeon Forge. Nearby Things to Do: Hiking, rock climbing, biking, golf, tennis, racquetball, basketball, fitness center, gym, shuffleboard, horseshoes, miniature golf, amusement parks, fishing, hunting, wildlife viewing, horseback riding, shopping, restaurants, live theater, cinemas, museums, sightseeing, swimming, boating, sailing, waterskiing, jet skiing, rafting, downhill skiing, Dollywood, Ripley's Aquarium, shopping and more. Hot tub with exceptional view! House is tastefully decorated throughout. This cabin is wonderful! 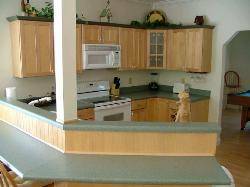 Very spacious, kitchen has everything that you need to eat in and the location is close to both the national park and Pigeon Forge. The hot tub was a big hit - great cabin for families and couples! Other Fees: Please contact us for specific availability and rates.